Guess what?? 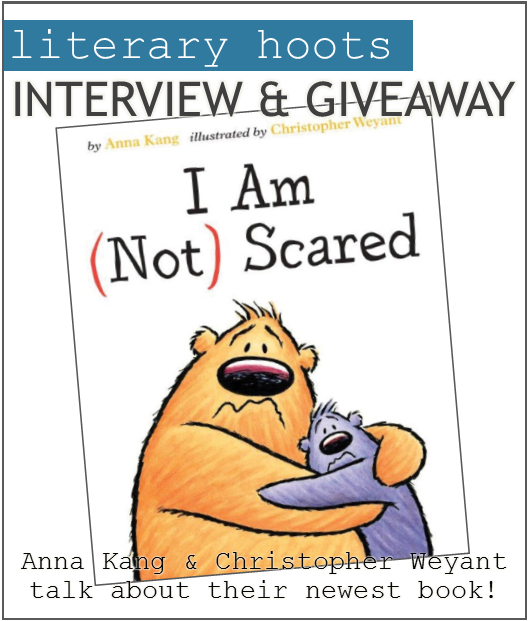 I got to interview the amazing creators behind I Am (Not) Scared (which I raved about a couple weeks ago), the third book from Anna Kang and Christopher Weyant featuring the antics of two fuzzy (if contradictory) friends. Basically, this awesome husband-and-wife, author-and-illustrator team are super talented, brilliant, and hilarious. Just check out some of their responses! And, of course, stick around because, at the end, there's a HUGE giveaway to enter that includes their newest book and more! AK: The idea for YOU ARE (NOT) SMALL came from my childhood experience of being one of the only Asians in my town. It was difficult growing up “different” and “other,” but it taught me that we each have our own perspective on what is “normal,” or the standard. My husband (the illustrator) and I didn’t want the characters to be human or even a specific animal because we didn’t want to distract from the theme of perspective. And so, through Chris’ imagination and talent, our “fuzzy creatures” were born. 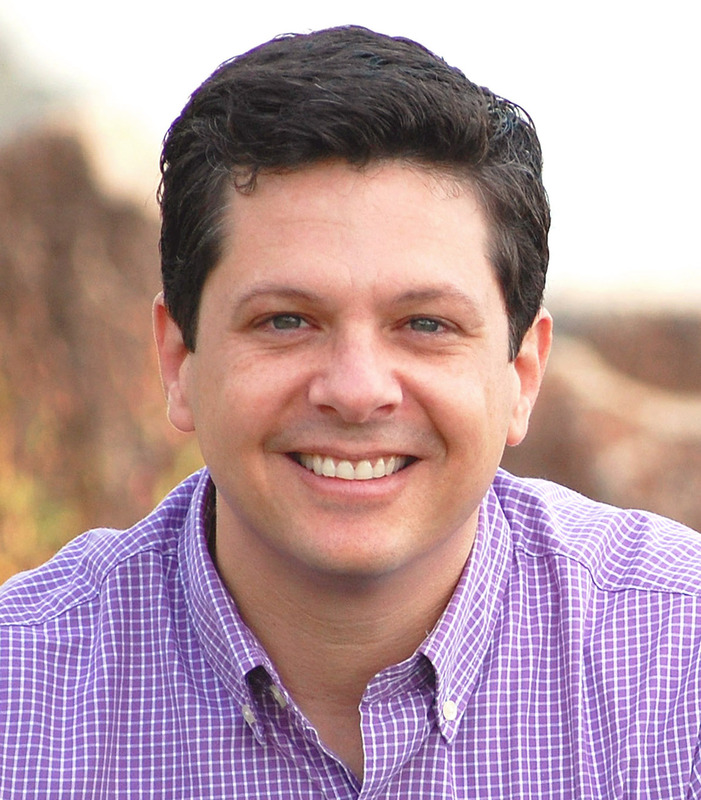 Could you share a bit about your process for getting an idea from brain to publisher? What gets you writing? What gets me writing is reading books, going for walks, browsing through picture books in the local indie bookstore or the library, and my children. When all else fails, I turn to chewy candy and naps. 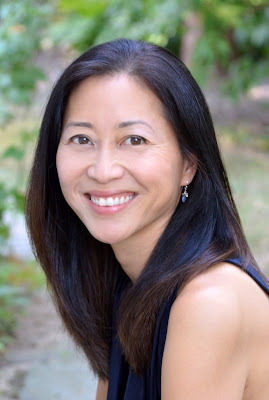 I write until a coherent story forms, then I rewrite it over and over until I can show it to my agent, Holly McGhee. After that, the rewriting process begins again. And what made you decide to write sequels/companion books to YOU ARE (NOT) SMALL? Do you plan on doing even more? Thankfully, our furry creatures seem to have a lot to say and we plan on telling more stories with them. That's awesome. It's pretty unique to have your husband be the illustrator of your books! What sort of impact does that have on your work? Are you tempted to give him more of your opinion of how things should look, or do you leave it all to him? I’m very lucky to have an illustrator-husband who is both talented and collaborative. He gives me honest feedback and vice versa. I definitely badger him with too many of my opinions, but we’ve gotten to a place where he can either use them or ignore them. For the most part. Sweet! Okay, lightning round! Biggest fear? Dr. Seuss, Arnold Lobel, Judy Blume, Beverly Cleary, Richard Scarry, William Steig. Favorite food to have for breakfast? Ideally, a traditional Japanese breakfast. But what I usually have is coffee. EA: Hi, Mr. Weyant! Thanks for doing this interview. As a cartoonist for a news agency, did you find the jump to children’s book illustrator easy or difficult? What sorts of things in your style did you have to adapt for the audience, if any? CW: A little of both. There’s a lot of crossover in terms of visual storytelling between children’s book illustration and the cartoons I do for The New Yorker magazine. For me, one of the biggest challenges was creating characters that must be drawn throughout the story. Continuity is really important to me because kids can spot the differences and mistakes immediately. Making sure that each characters’ expressions and personality is consistent from beginning to end is a challenge that I don’t usually have in my single panel cartoons. Good point! So, could you share a bit about your process for getting a story illustrated? Have you ever been stumped on what to draw? After reading the story, I’ll make loose sketches on any piece of paper I can find until a version of the characters come to life. Once that happens, I can begin thinking about how to express the story visually. Luckily, I’ve never been stumped as to what to draw. There’s always a solution to be found if I just keep trying. Tell us a little bit about what it’s like to work with your wife on these projects. Whose idea was it initially to work together? What sort of impact does it have on your work? As I prepare character and story sketches, I’ll show them to Anna and she’ll give me her feedback. It’s unusual that the artist and author get to work in tandem and I think it helps me to illustrate a more organic and cohesive interpretation of her story. What’s your history with art? When did you first get started and when did you decide you could make a career of it? I was that kid in class who always drew pictures. I didn’t know that being a cartoonist/illustrator was an actual job (or at least one that I could do), so spent most of my high school and college years focused on becoming a lawyer. It wasn’t until my mid-20’s that I realized that I’d make a better artist than I would an attorney. I bloomed a little late but I got there in the end. Hey, I planned on being a lawyer, too! And then I realized I could have a career reading picture books to kids all day. 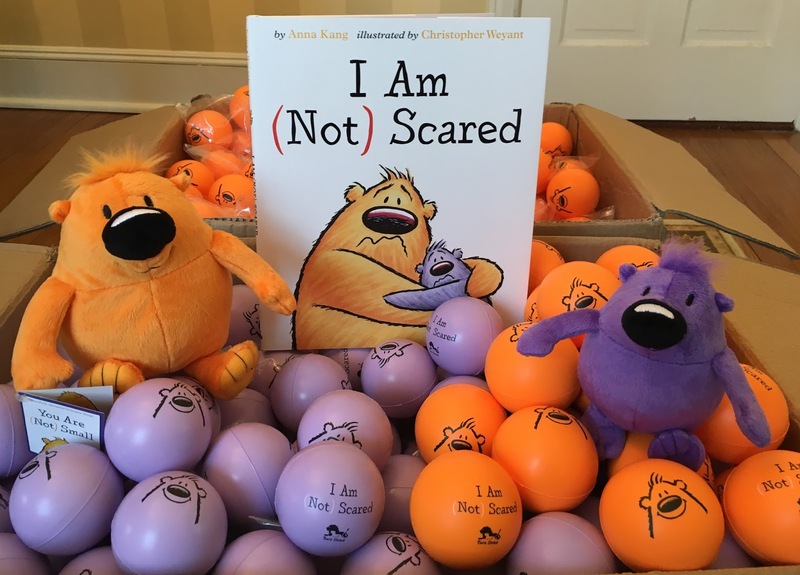 Any background stories or behind-the-scenes insights about creating I AM (NOT) SCARED? Was it easier to illustrate this book having done two previous books with these characters? One of the best parts of this series is that I get to revisit my two friends again. Having spent countless hours drawing these characters and creating their expressions, exploring their personalities, etc., they’ve become as familiar to me as real people. Since Anna’s stories always explore new situations with new conflicts and emotions, visualizing it all remains a fun and continuing challenge. Perfect. Now, lightning round! Biggest fear? Dr. Seuss, William Steig, Jack Ezra Keats, Tomi Ungerer, and many other contemporary illustrators. The list is long. Favorite media to use in your art? Pie. Any kind. I’m a sucker for pie. Great, now I want some pie. Thank you so much, Christopher, for your time and this interview. I'm looking forward to your future publications! And, without further ado, a giveaway! One lucky winner will receive a set of squeezable stress balls, two adorable plush characters, and a copy of I AM (NOT) SCARED courtesy of Two Lions. Open to the US only, ends 4/12/2017. No purchase is necessary. Void where prohibited. Literary Hoots and the publisher/publicity department are not responsible for lost, stolen, or damaged items. If you are under 13, please get a parent or guardian's permission to enter. Winner will be chosen randomly via Rafflecopter after the contest ends. Winner will have 48 hours to respond to the email, otherwise, we will pick a new winner.